TORONTO, Sept. 26, 2018 /CNW/ - Khiron Life Sciences Corp. ("Khiron" or the "Company") (TSXV: KHRN, OTCQB: KHRNF, Frankfurt: A2JMZC), a Canadian integrated medical cannabis company with its core operations in Colombia, announced that former President of Mexico and Khiron Board member Mr. Vicente Fox will present a keynote address at CanEx Jamaica Business Conference & Expo on September 28th in Montego Bay, Jamaica, where he will discuss his views on the medical cannabis industry in Mexico and Latin America. Mr. Fox stated, "The cannabis industry offers tremendous economic health and social benefits in Mexico and around the world. I welcome the opportunity to share, network and advocate for its continued progress at CanEx Jamaica." From December 2000 to November 2006, Mr. Fox was the 55th President of Mexico. Prior to that, he was the Chief Executive Officer of Coca Cola Latin America. Mr. Alvaro Torres, Khiron Co-founder and CEO stated: "We congratulate Mr. Fox on this invitation to present at CanEx Jamaica.  As an important global cannabis conference his active participation articulates and reinforces Khiron´s vision of becoming the leading medical cannabis company across Latin America."